This volume addresses the pluralistic identity of the legal order. It argues that the mutual reflexivity of the different ways society perceives law and law perceives society eclipses the unique formal identity of written law. It advances a distinctive approach to the plural ways in which legal cultures work in a modern society, through the metaphor of the mirror. As a mirror of society, it distinguishes between the structure and function of legal culture within the legal system, and the external representation of law in society. This duality is further problematized in relation to the increasing transnationalisation of law. 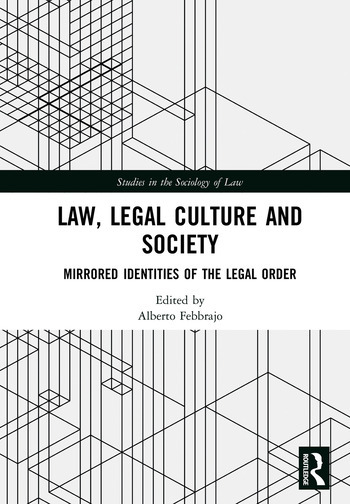 Based on a multi-level interpretation of the concept of legal culture, the work is divided into three parts: the first addresses the mutual reflections of social and legal norms that support a pluralist representation of internal legal cultures, the second concentrates on the external legal cultures that constantly enable pragmatic adjustments of the legal order to its social environment, and the third concludes the book with a theoretical discussion of the issues presented. 7. Balancing Legal Principles and Legal Topics - Tercio Sampaio Ferraz Jr.
Alberto Febbrajo is Senior Professor of Sociology of Law at the Department of Law, University of Macerata, Italy.